Full disclosure: It took us a second to figure out what we were looking at here. 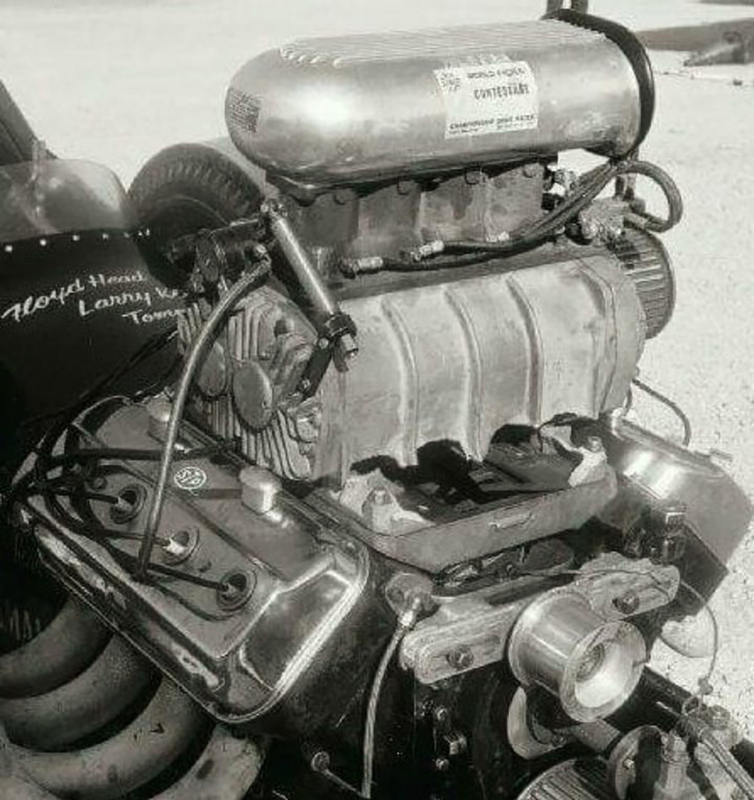 Of course, we saw a totally bitchin’ blown Hemi in an early front-engine dragster. But once our eyes refocused from the hazy blur of all this radness, we realized that blower wasn’t sitting quite right on the top of it. Then, we took a harder look at all those glorious speed parts! A Hilborn four-port mechanical fuel injection setup. A rare GT finned rear bearing cover. An Isky Chrysler Hemi “slider” idler pulley. An early Cragar blower intake with the bottom pop-off valves. Smooth, chromed Hemi valve covers. A double-shouldered 1/2-inch pitch blower pulley? An Enderle fuel pump? And is that a magnesium fuel pump extension?